This Kitchen will once again enjoy cooking, baking and entertaining. The 42″ Induction cooktop and hood create meals on the double. 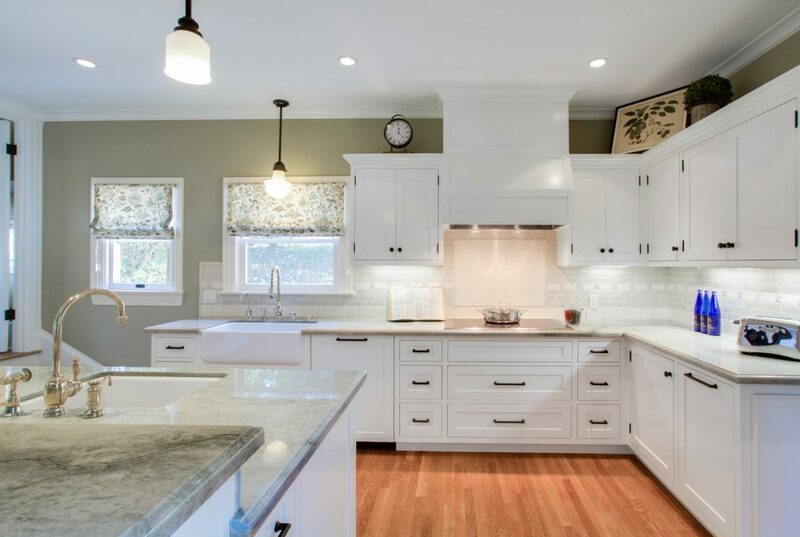 A farmhouse sink is great for this busy Kitchen and an island prep sink is ideal when both chef’s are cooking.